As the Rio Olympics are coming to a close this evening, I am reminded of a 60 Minutes interview with Olympic Champion Michael Phelps. During the interview, the host Anderson Cooper showed pictures of Phelps winning the 100-meter butterfly final at the Water Cube in Beijing by ONE-HUNDREDTH of a second over Serbia’s Milorad Cavic. Phelps admitted that his winning margin of one-hundredth of a second was almost impossible to see but it was because of ONE small difference, on the final stroke Cavic lifted his head up just slightly which acted as a mini speed bump and I kept my head down streamlined. Small stuff matters a lot! It’s important to keep in mind that high achievers in every vocation turn over all stones, understanding and exploiting to their benefit the fact that the critical difference between merely acceptable versus excellent results lies in the smallest of details. 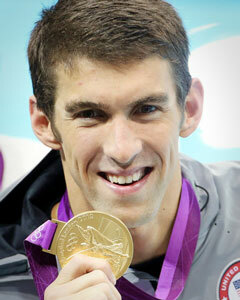 Olympic champion swimmer Michael Phelps. They acknowledge and accept that the difference between Gold and Silver at the Olympics can be traced to the tiniest of details in training or execution; as a result, they make everything they think, say and do count! P.S. The final 100 Day Challenge of the year begins on September 22nd…which kicks off the last 100 days of the year. 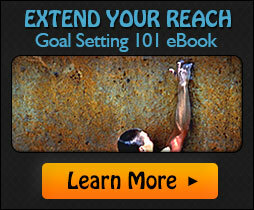 To learn how to finish strong…download this outstanding manifesto.